John is the founder and MD of Powell Tronics. He actively ensures that the company, its suppliers and its people are geared for the dynamic nature of the market place to better support their valued customers. He has been involved in the Time & Attendance, access control, security solution technology industry since the early 1990’s, working and excelling through the ranks to EXCO level in a leading industry listed company and successfully growing solution orientated companies through ownership and as managing director. Apart from his experience, knowledge in the industry and long lasting contacts, he adds value through positive relationships, focus, respect, loyalty and trust. He thrives on finding solutions through skills and technology to help end users gain maximum results through Powell Tronics’ valued dealer base. He is also inspired by entering new markets and seeing the team around him grow personally and professionally. Zulmira’s main focus is the management of Powell Tronics’ national support team as well as its in-house development team and integrated solutions. With a support team in each branch, it is Zulmira’s responsibility to ensure that her team is supporting Powell Tronics’ clients and the solutions while assisting colleagues with any assistance they may require. On the development side of her portfolio, she refines the requirements for new development projects and manages project timelines, results and testing before it is released to market. Zulmira joined the access control industry almost 15 years ago as a software support technician, from a general IT training background. Her career has taught her to resolve access control hardware software and database faults, the ins and out of time and attendance, a general understanding of corporate marketing, and most importantly managing projects and teams. 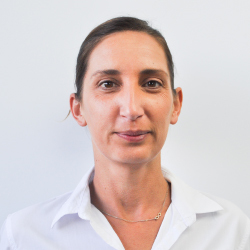 Her experience is complemented by a Project Management certification from the University of Stellenbosch. She loves working in this industry as it gives her the opportunity to travel to places and countries across the globe, and be involved in industries and businesses vastly different from her own while busy with installations. Barney is in charge of daily invoicing, receiving, dispatching, client and supplier liaison, invoicing, procurement, repairs, stock control and other office duties. He matriculated in the 90’s and started working in the warehouse and back of house environment. Following this, he worked in the security industry for over 5 years and then went back to warehousing. At this stage, he studied HR-management and was given the opportunity to perform stock control and storeroom management. He brings over 18 years of experience to the business. Barney is passionate about the fact that the business is never stagnant, ever evolving and filled with great, like-minded people. 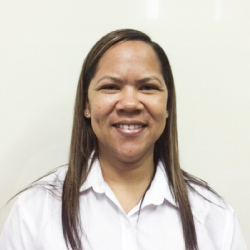 The friendly voice in the Cape Town creditors and licensing department belongs to quick learner Nicole Langenhoven . Multi-tasking is an essential part of this job and she handles both customers and PT team. A good listener who has the unswerving ability to work under pressure, this self-motivated team player is passionate about the access control industry. Radia’s job involves day to day office administration and bookkeeping, overseeing accounts payable, accounts receivable, credit vetting, maintaining cash book and general ledgers. She maintains a high level of accuracy in preparing and entering financial information on accounting system as well as managing and monitoring admin staff in all branches. She holds a diploma in Bookkeeping and Accounting from Cape Town College, as well as a range of diplomas to enhance her performance. She brings 37 Years of knowledge, skills and abilities in store management, despatch, office administration, bookkeeping and accounts. She counts herself lucky to have been the first employee at Powell Tronics, and is excited to see the growth of the business. She is passionate about seeing everybody involved in Powell Tronics succeed, be it staff, our customers or suppliers. Stephan assists new and existing clients with everything from day to day faults to new site designs. This sometimes includes special requirements and solutions. He brings 9 years’ experience in the industry, including the installation of alarm systems, CCTV and access control. He has specialised in technical support for the last 4 years. His experience as an installer means that he doesn’t only know the products very well, but knows how they can be applied in the real world. He understands the issues one can face on site from an installer’s perspective. This knowledge aids in new site design as well as fault finding on existing systems. 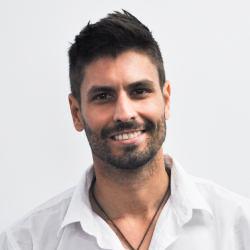 Stephan enjoys being part of a team that is developing and testing new technologies and ideas in the industry. He also finds it rewarding when he receives direct feedback from the various factories the team works with, and hears how Powell Tronics has helped them create better products to aid the end user. 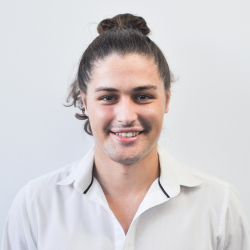 Sales and solutions specialist Wade Bender not only received a grounding in access control while working at Impro Technologies, but he also holds a BA degree, has completed a short course in financial trading and is now studying financial management. Working with installers, consultants and electrical engineering firms, he has honed his people skills and is passionate about learning about new technologies and coming up with ideas and solutions. 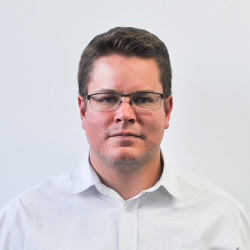 With an MCSE (Microsoft Networking), Andre Joubert is perfectly suited to the development of bespoke solutions that fulfil clients’ needs in the access control, time and attendance and related industries. 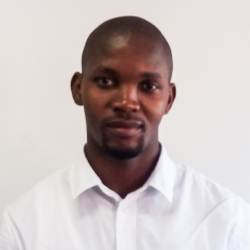 His background as a support technician, installation technician and project manager has allowed him to realise his full potential as a software developer par excellence. Andre is at his happiest discovering the power of the human social crowd, sensors and big-data processing. 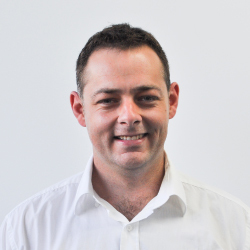 Dynamic problem solver Matthew Bushell joined the company in late August and is fulfilling the role of Operations Coordinator, in the aim of strengthening the companies triple “SSS” strategy. 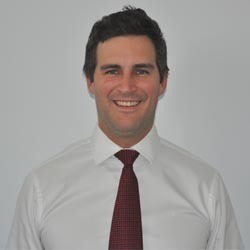 Matthew brings with him a strong sales, organisational and administrative background which served him well in his six years abroad working for a law firm in London and in the competitive overseas and local automotive industries. His great interpersonal skills and ability to build strong relationships based on customer-first orientation allow him to broker critical relationships between staff, suppliers and customers. 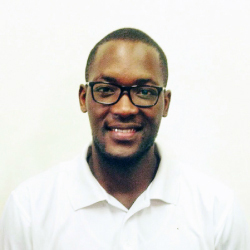 Software developer Francois de Wit studied for a ND: Electrical Engineering at CPUT. 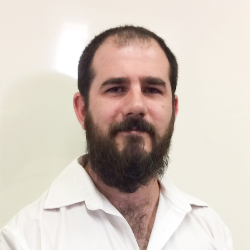 He has worked in the electronic security industry for the past 10 years and moved into his current role in 2013. He believes that a successful software developer needs to be patient and persistent, with great problem solving skills. His ability to turn an idea on a piece of paper into a user-friendly, reliable and impressive software package that adds value to a company is his secret to success. Mark’s sales role sees him primarily selling products, obtaining new clients and providing solutions that match what his clients require. His job doesn’t stop at each sale, as he often provides training in the range of solutions that Powell Tronics offers. He is qualified in basic electronics and sales, giving him the perfect combination to lead clients through a range of solutions. Mark is a strong communicator and loves meeting new clients and understanding what technology they need to address the challenges they face. 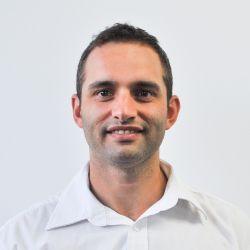 Quintan joined the Powell Tronics Support team in Cape Town in November 2017. 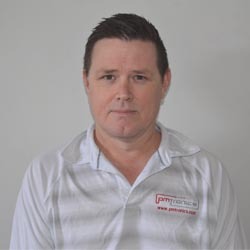 With a technical background spanning 16 years in various roles and industries, he has an array of knowledge and experience and is considered to be a hard working all-round security specialist. Having been a part of a number of projects ranging from large scale Access Control and biometric systems, Building Management and Automation and CCTV, he takes great pride and satisfaction in being able to provide comprehensive installation guidance and user support throughout commissioning projects. 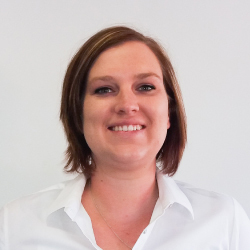 Cindy started as a temp in 2011 at the Johannesburg offices of Powell Tronics and has grown to become Manager of the Johannesburg branch. She is currently in the second year of her Bcom Law degree. She strives daily to personify the company ethos which is to SERVE; SUPPORT AND OFFER SOLUTIONS whether it be at the front desk greeting clients or picking up a box in stores. She brings an infectious gusto and ambition to the company, and inspires her team to keep offering the best service possible to clients. She takes a personal interest in mentoring and helping others succeed in what they do, being a team leader and seeing the department achieve and grow. Leonie’s senior key account and business development manager position at Powell Tronics involves customer liaison, technical sales support, system designs/recommendations, presentations, demonstrations, account management, delivering of orders, and specifying of solutions. Outgoing and supportive, she has a marketing and sales management course from Damelin and worked in the construction industry before joining the security industry in 2006. 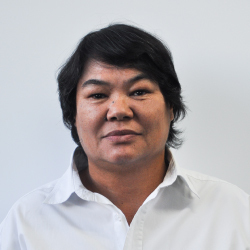 Ritta began her career at Nedbank, where she learnt how to work in groups, run reception and perform office admin tasks. She has a diploma from Varsity College in bookkeeping and a diploma from Damelin in supply chain management. She is a team player and is an enthusiastic part of Powell Electronics’ growth as a business. 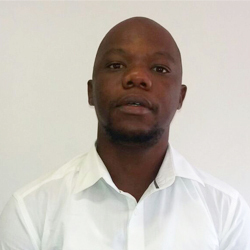 As the stores controller for the Johannesburg branch, Siwakhile Matinta’s position entails assisting the admin team where needed. His attention to detail and diligence ensures that all stock from an invoice is carefully and accurately picked and packed. He is pedantic about guaranteeing complete confidentiality, making him a key player in delivering a positive customer experience. Deirdre joins Powell Tronics with the benefits of having worked for both the manufacturer, Impro Technologies, as well as one of their prestigious end users, Dainfern, where she ran the administration of the software for them for 7 years. She worked at Impro for 6 years further honing her skills in the role of Internal Sales. With her diversity, product understanding and in-depth knowledge she very quickly became known as the go to person for anything relating to Impro. Her willingness and enthusiasm to always go above and beyond and the ability to create lasting business relationships makes her an asset to the Powell Tronics Sales Team. 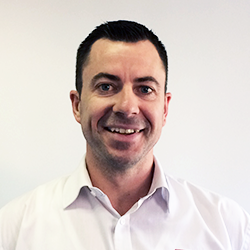 Alastair McPhail is the Regional Sales Manager for the Johannesburg branch. He holds a BCom in marketing and business management. He cut his teeth in the access control arena with a stint as Business Development Manager and then Sales Manager at Impro Technologies. His success is drawn from attention to detail, enthusiasm for perfection and the ability to develop and maintain relationships with both top management and technicians. 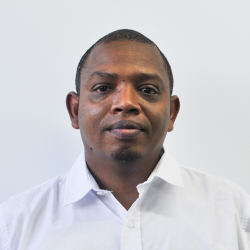 Saul, who is based in the technical department at the Johannesburg branch provides telephonic and on-site support, testing of repairs and training. This multi-talented trouble-shooter holds certificates in call centre management, civil engineering plumbing and electrical engineering heavy current. As Accounts Controllers, Ashleen invoices all orders for the business. This role includes placing orders with suppliers, managing debtors and stock control as well as all other admin functions. She is the ‘glue’ between the customers and the sales representatives. She brings extensive experience in the manufacturing environment from the assembly line up until the finish product, as well as experience in internal sales and customer services. A key focus for Ashleen is customer service, as she believes this is the heart of a thriving business. As a member of the Technical Support team, Bongi provides telephonic, remote and onsite support to installers, as well as installing and commissioning new sites. He is also involved in providing training for clients on the different products Powell Tronics offers. 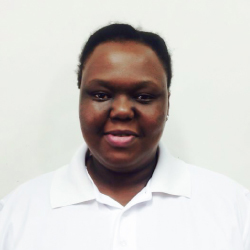 Bongi graduated at CTI with a qualification in Information Technology Engineering (ITE) and joined the support team at Powell Tronics in 2013. 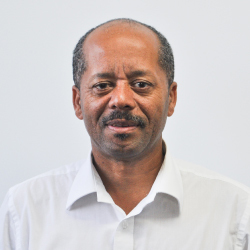 He brings specialist knowledge in access control, technical support, customer service, time and attendance, site commissioning, technical support and visitor management. He enjoys the satisfaction of installing and configuring a completely new site and leaving a fully operational site at the end of the day. He also thrives on the exposure to the latest systems and technology. Frazer nurtures customer relationships at Powell Tronics, visiting them often and guiding them on the right system to install. He uses his experience in the field as well as behind the phone at Impro to understand what system to avoid and what to pursue. By specifying the system from the start, he is able to sell the right products to his customers. Frazer studied an IT Engineering Diploma and finished very high up in his class. As a result, he was immediately offered a contract job by FNB to install and service credit card machines over the busy December period at the coast. During his contract at FNB, he was interviewed by Impro and when the contract expired, he started at Impro as a Customer Support Technician. He quickly progressed within Impro and Access Control became his speciality. He started at Powell Tronics in July 2013. He brings his extensive technical knowledge to the business and is passionate about understanding new developments in the market. The friendly voice on the end of the Powell Tronics phone belongs to quick learner Nonhlanhla. Multi-tasking is an essential part of this job and she handles stock control and counting, quotations, following up with clients in terms of outstanding payments. A good listener who has the unswerving ability to work under pressure, this self-motivated team player is passionate about the access control industry. 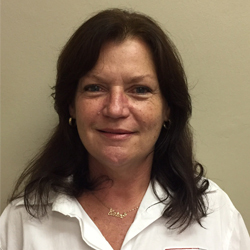 Carols works in the in the sales department of the Powell Tronics Durban office. Her core function is to meet and exceed her sales targets, develop new business and to maintain a good relationship with customers. She has worked in the ID, Security and Access Control Industry for almost 20 years and brings an infectious determination and effort to the business. This is evident in her consistent results. She is passionate in the belief that Powell Tronics is one of the top distributors of quality access control products, able to offer turnkey solutions backed up with solid technical and development teams and their extensive expertise. Carol has enjoyed watching Powell Tronics grow over the past 7 years, and feels proud to be part of this dynamic team. She also has a special interest in the access control industry, as no two sites are ever the same. Mike leads the sales team and drives Powell Tronics’ sales efforts. However, a large part of the job involves problem-solving, an aspect he thrives on. He has been in the security or related industries for almost 30 years, holding various positions. His experience used to be quite broad, until he worked with Powell Tronics to focus on the Access Control market exclusively. Over the years Mike has been a salesman, project manager, director and now national sales manager. His experienced in enhanced by a diploma in Risk Management. For him, no two days are the same and he is energised by the people he works with. Siyabonga Mbekela studied Mechatronics at PE College and immediately joined an installation company in the security industry. As a technician at Powell Tronics, responsible for the Eastern Cape region, Siya has a can-do attitude to getting the job done. Given the condensed size of the branch, he also assists with the admin and development software testing. 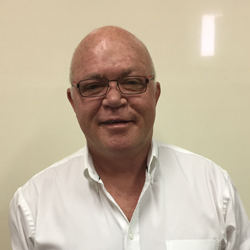 Bruce holds the position of Chief Business Development Officer at Powell Tronics, his main function is to identify and grow international business opportunities for Powell Tronics. He has over 22 years’ experience is in the access and security field, 20 of those years with Impro. Bruce started on the technical support and installations side where most of his technical skills were learnt, he later progressed to the position of Production Director. 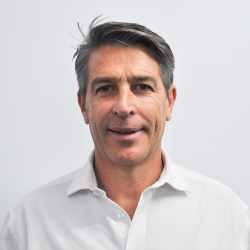 Bruce’s current business development role is focused on the North American market where he enjoys building long lasting relationships based on ability but most importantly trust. He also enjoys collaborating with customers in an effort to provide solutions that add value to our product offerings. Zulmeira joined the access control industry almost 15 years ago as a software support technician, from a general IT training background. Her career has taught her to resolve access control hardware software and database faults, the ins and out of time and attendance, a general understanding of corporate marketing, and most importantly managing projects and teams. 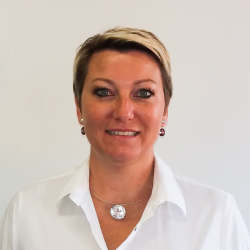 Her experience is complemented by a Project Management certification from the University of Stellenbosch. She loves working in this industry as it gives her the opportunity to travel to places and countries across the globe, and be involved in industries and businesses vastly different from her own while busy with installations. Barney is in charge of daily invoicing, receiving, dispatching, client and supplier liaison, invoicing, procurement, repairs, stock control and other office duties. He matriculated in the 90’s and started working in the warehouse and back of house environment. Following this, he worked in the security industry for over 5 years and then went back to warehousing. At this stage, he studied HR-management and was given the opportunity to perform stock control and storeroom management. He brings over 18 years of experience to the business. Barney is passionate about the fact that the business is never stagnant, ever evolving and filled with great, like-minded people. 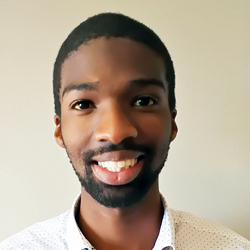 Joshua Powell works in the marketing and advertising department, and applies his creative mindset to communicating the Powell Tronics offering to potential partners and on social media. He matriculated at Reddam Constantia, then studied at Stellenbosch for a year and a half before joining the Powell Tronics team. He loves defining the look and feel of the business and bringing a fresh, creative perspective to the team. Mark’s sales role sees him primarily selling products, obtaining new clients and providing solutions that match what his clients require. His job doesn’t stop at each sale, as he often provides training in the range of solutions that Powell Tronics offers. He is qualified in basic electronics and sales, giving him the perfect combination to lead clients through a range of solutions. Mark is a strong communicator and loves meeting new clients and understanding what technology they need to address the challenges they face. Stephan assists new and existing clients with everything from day to day faults to new site designs. This sometimes includes special requirements and solutions. 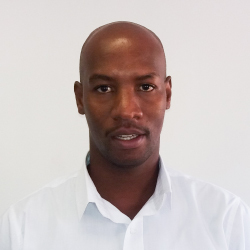 He brings 9 years’ experience in the industry, including the installation of alarm systems, CCTV and access control. He has specialised in technical support for the last 4 years. His experience as an installer means that he doesn’t only know the products very well, but knows how they can be applied in the real world. He understands the issues one can face on site from an installer’s perspective. This knowledge aids in new site design as well as fault finding on existing systems. 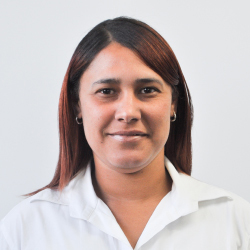 Cindy started as a temp in 2011 at the Johannesburg offices of Powell Tronics and has grown to become Manager of the Johannesburg branch. She is currently in the second year of her Bcom Law degree. She strives daily to personify the company ethos which is to SERVE; SUPPORT AND OFFER SOLUTIONS whether it be at the front desk greeting clients or picking up a box in stores. She brings an infectious gusto and ambition to the company, and inspires her team to keep offering the best service possible to clients. She takes a personal interest in mentoring and helping others succeed in what they do, being a team leader and seeing the department achieve and grow. As Accounts Controllers, Ashley invoices all orders for the business. This role includes placing orders with suppliers, managing debtors and stock control as well as all other admin functions. She is the ‘glue’ between the customers and the sales representatives. She brings extensive experience in the manufacturing environment from the assembly line up until the finish product, as well as experience in internal sales and customer services. A key focus for Ashley is customer service, as she believes this is the heart of a thriving business. Frazer studied an IT Engineering Diploma and finished very high up in his class. As a result, he was immediately offered a contract job by FNB to install and service credit card machines over the busy December period at the coast. During his contract at FNB, he was interviewed by Impro and when the contract expired, he started at Impro as a Customer Support Technician. He quickly progressed within Impro and Access Control became his speciality. He started at Powell Tronics in July 2013. He brings his extensive technical knowledge to the business and is passionate about understanding new developments in the market. 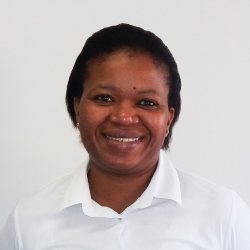 Nonhlanhla is the warm, friendly face at Powell Tronics reception in the Durban office. She also assists the admin team with ordering office supplies, handling repairs to and from customers, updating at the repair applications, and quoting for customer repairs. She worked for two years as an admin clerk at Enduduzweni Centre for the Blind and as a data capturer for Statistics South Africa. Nonhlanhla is dedicated to customers, quick to learn and boasts a solid work ethic. As a result, she is passionate about customer service and service delivery. Over the years Mike has been a salesman, project manager, director and now national sales manager. His experienced in enhanced by a diploma in Risk Management. For him, no two days are the same and he is energised by the people he works with..